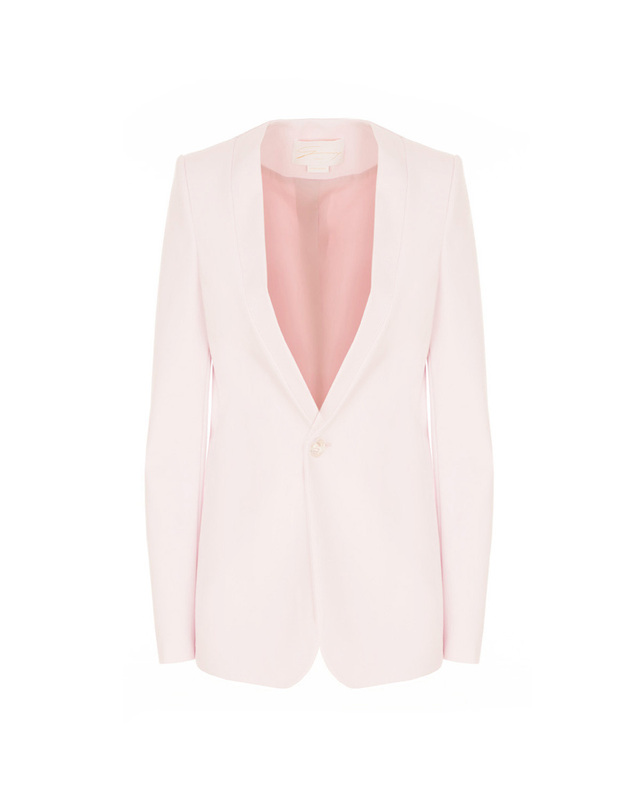 With its elegant yet versatile style, the single-breasted cotton blazer is the perfect outerwear for any occasion. 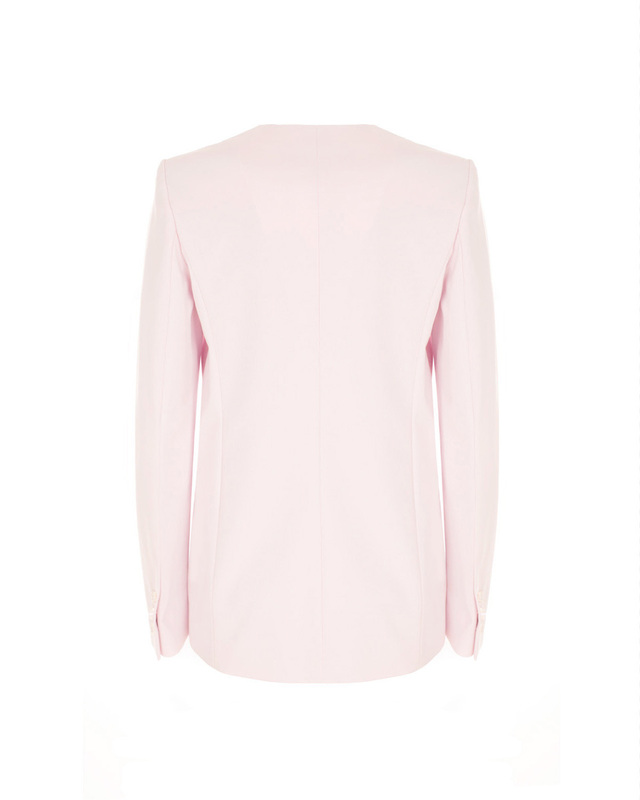 Falling below the hips, with hidden button closure, this blazer has monochrome lapels at the collar and welt pockets. Fitted to the hip, the line works easily with a top and slim pants.